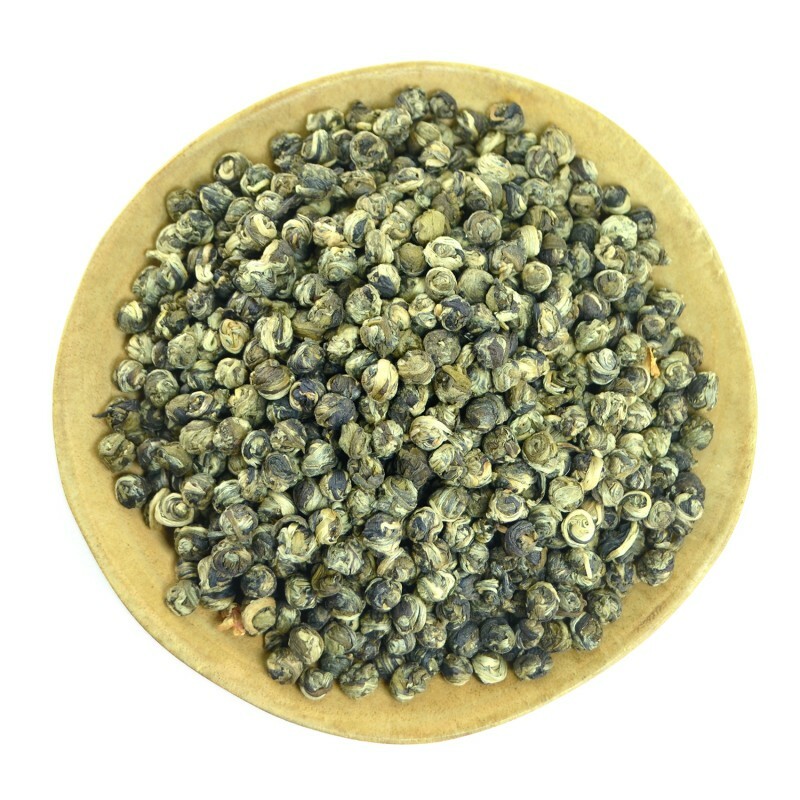 Jasmine Dragon Pearls (Zhu Hua Lun) was first created over 500 years ago, in the mountains which stretch along the coast of the East China Sea. It is a tea with the taste and smell of jasmine flowers. By buying this product you can collect up to 36 loyalty points. Your cart will total 36 loyalty points that can be converted into a voucher of ฿ 10.80. Note that they have none of the color themselves, but only have their fragrance and flavor. This is achieved by the method of the preparation of the tea leaves: they are twisted and shaped into the form of small pearls and are placed into containers mixed with jasmine flowers, which provide their essential oils for the tea. It turns out that the aroma is stored inside the "pearl" until such time as it will be brewed. 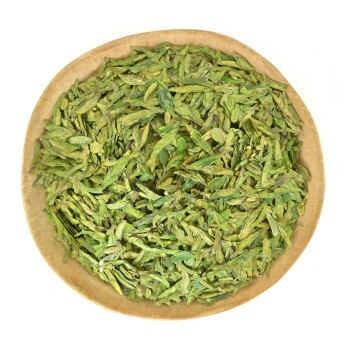 It is noteworthy that jasmine gardens that grow near the tea plantations bloom in the spring, and this time of year is considered the best for collecting tea leaves. 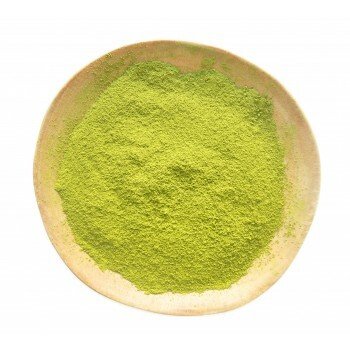 Has a beneficial effect on vision - strengthens and preserves it. If you have your own tea shop, SPA or any other business where you serve tea, then write to us. We will try to offer an interesting price for the wholesale order of Jasmine Pearl. Our email is tea-village@hotmail.com. An amount of tea and volume: 1-2 tsp per 300 ml / 8.4 oz. A number of brewings: 3-5. 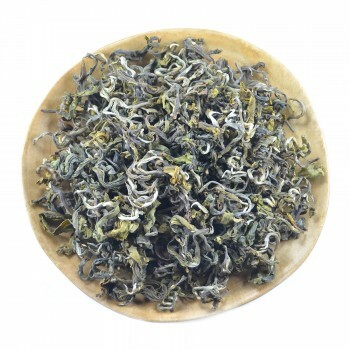 You should know that this kind of Chinese tea is brewed five or six times. If you want a richer drink, brewing time should be increased to 2-3 minutes. But even in this case, the fragrance of jasmine flowers will not interrupt the taste of tea, but will simply complement its tonic, and spicy notes.